Christenson Surf Rocker – Custom tip/tail rocker profile designed by surf shaper Chris Christenson for the Mind Expander, Mountain Surfer and Storm Chaser. The nose rocker starts just inside of the front inserts and the tail rocker starts just at the back inserts. When you weight the tail of the board, the nose ramps up out of the snow for an insane float on the deepest days. These subtle rocker contours match a Christenson surfboard rocker profile. Progressive Sidecut – At the far ends of the sidecut, the radius is incrementally increased as the edge reaches the contact point. Gradually increasing the sidecut radius towards the contact point delivers smoother turn initiation and exit as the edge tracks in and out of the snow with a less abrupt transition. 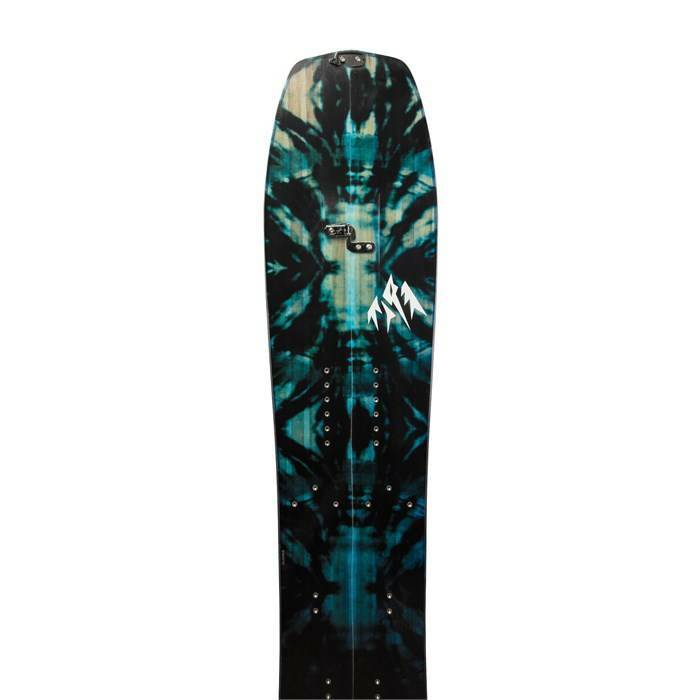 Control Split Core – Dual-density full premium wood core designed specifically for splitboards. 2:1 paulownia to poplar stringer ratio keeps core light yet ultra damp. Biax Fiberglass – A dual-direction, dual-layer, stitched fibreglass laminate that provides a fun, forgiving and snappy ride. Stainless Steel Reinforcement – Stainless steel plates are embedded into the nose and tail for improved board tip durability. 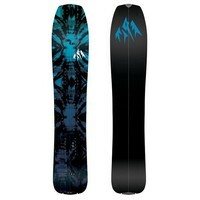 Recycled Black ABS – ABS plastic is one of the necessary evils of snowboard production. Jones improves the sustainability of their snowboards by using only recycled plastic. Sintered 9900 Base – Made from Ultra-High Molecular Weight Polyethylene (UHMW-PE) and Carbon. This ultra-fast base is easy to repair thanks to the UHMW-PE. Oversized Recycled Edges – All Jones boards are made with oversized recycled steel edges for added durability and improved production sustainability. Inside Traction Tech 1.0 – Inner edge Traction Tech improves splitboard edge grip on the ascent. Three sidecut "bumps" on each side of your binding keep you locked in on icy skin tracks no matter which way you are traversing. Outside Traction Tech 1.0 – Like a serrated knife slicing into the snow, Traction Tech improves your edge grip by adding multiple contact points along the running length of your board. Eco-Plastic Topsheet – Bio-plastic topsheet made from Castor beans. 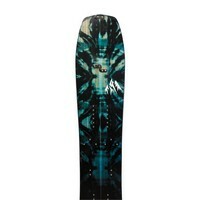 This eco-material is ultralight, chip/scratch resistant and water/snow repellent (snow sticks less to topsheet). 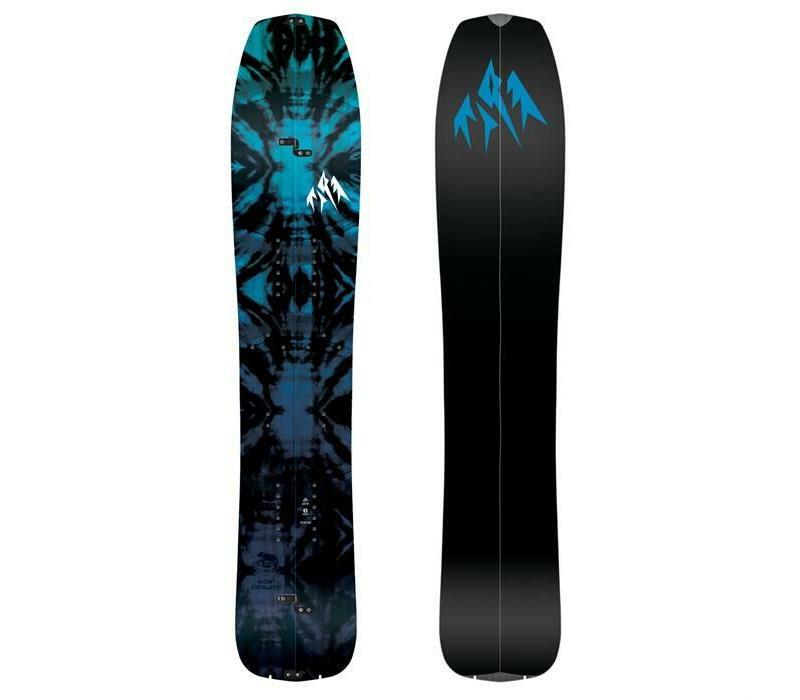 Quick Tension Tail – All Jones splitboards (except Discovery Split) now feature a notch cut into the tail of both skis that allows the Quick Tension Tail Clip fastener to simply slide into the notch and secure the skin. Factory Tuned – All Jones Snowboards are factory de-tuned at the tip and tail so you can go right from the shop to the mountain. 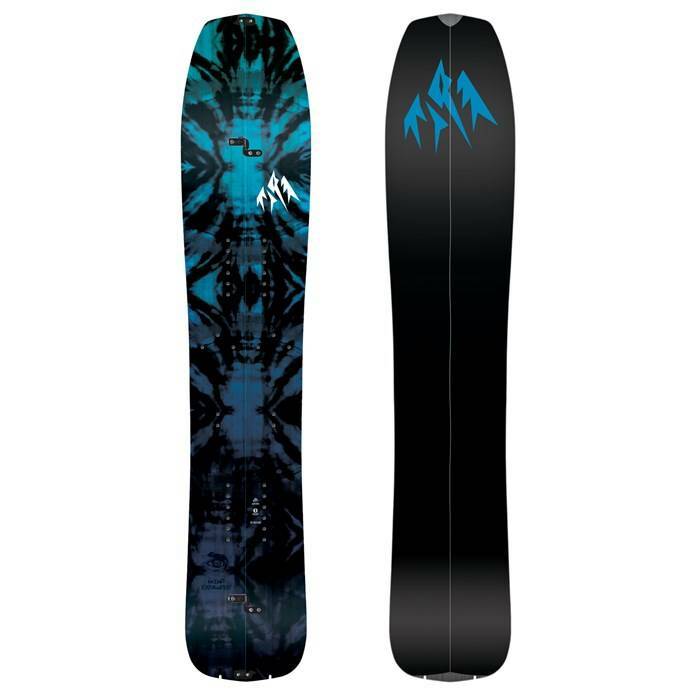 Karakoram Ultra Clips – Ultra clips are the strongest, lowest profile splitboard clips in the world. They deliver unmatched compression between board halves and they are adjustable so you can maintain even compression as your splitboard ages. Bolt-Less Bridge – The Bolt-Less Bridge eliminates split clip attachment hardware from the base of the board by re-profiling the wood core at the clips. The wood core under the clips is thicker providing better torsional stiffness and a more powerful connection at the split clips.